With an entirely new optical system and other features found on more expensive binoculars, these Vortex Crossfire 10x42 Binoculars deliver outstanding performance at an incredible value. Fully multi-coated optics provide clear, bright images as 10x magnification brings the world into closer view. Compact, roof prism design makes these glasses easy to pack and easy to carry. And a rugged, rubber-armored, fully waterproof exterior means no worries about the weather or conditions. Whether for hunting, hiking, boating, birding or watching sporting events or concerts, you're sure to be impressed with these high-quality, all-purpose Vortex Binoculars. The Vortex VIP Warranty is about how its handled, not how it happened. Vortex promises to repair or replace a damaged or defective Vortex optic at no cost to you. If your product can not be repaired, it will be replaced. This unlimited Lifetime Warranty is fully transferable and requires no warranty card be sent in or receipt dug out. If you own it, Vortex will handle it, and that's a promise. F.O.V. : 325 at 1,000 yds. Vortex Crossfire 10x42 Binoculars is rated 4.9 out of 5 by 51. Rated 5 out of 5 by KyleH from Perfect for bow hunting I received these as a Christmas gift. They are nice and compact and very clear for their budget price. Perfect for what I was wanting for bow hunting whitetail. Rated 5 out of 5 by Jeremy B. from I bought them for my son. I got these for my son after he passed he hunters safety for the price and the warranty these are awesome for the kids. Rated 5 out of 5 by xZ1mM3r from Can't beat them For the price of these binoculars you would think they cost 3 times as much. Very satisfied with the purchase!! Clear, quality, well made, amazing company all around. 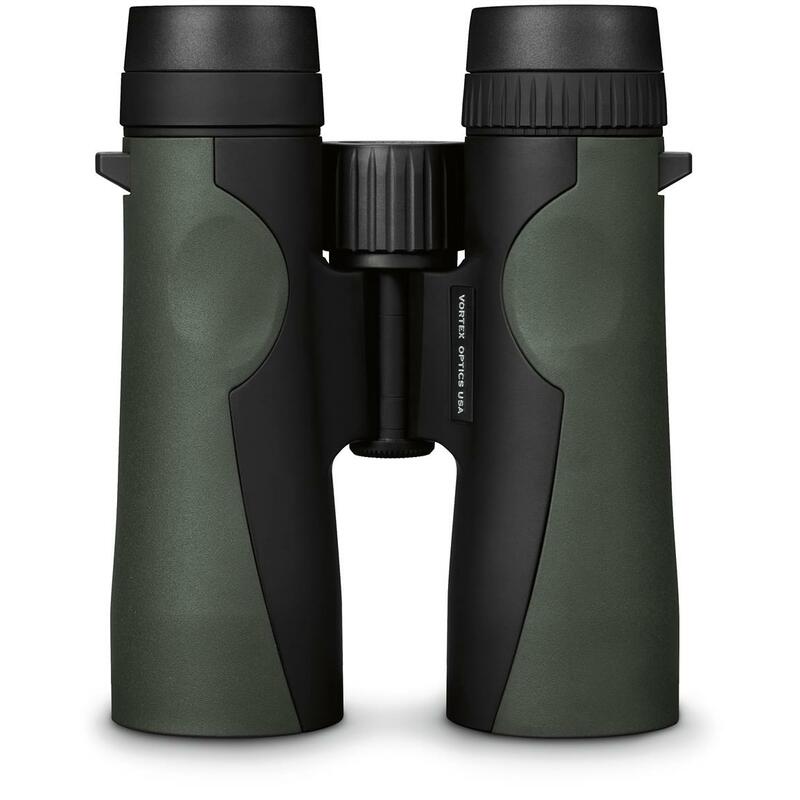 Rated 5 out of 5 by Tuber from Very Good Binoculars Lightweight. Clear, bright optics. Smooth focusing and adjustments. Very happy with these, especially for the price. Rated 5 out of 5 by celfers701 from Amazing product, Great price! These binoculars are a very good value, they're ultra clear, easy to use, seem very durable, and come with great accessories like a very nice carry pouch, a very comfy neck strap, a carry strap for the pouch and also a microfiber cleaning cloth!